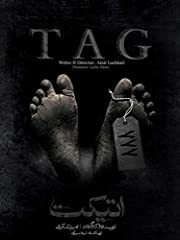 The story of a group of friends who have remained so for 30 years because of their ongoing game of tag. 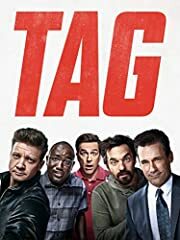 Here’s my review of the comedy TAG! Reminds me of the movie Watch It. Can anyone tell me what they all sang at the end of the movie? That song is stuck in my head! what’s up with jeremys twitter? rip. My longest friend in this life and I, made an agreement around 15 years ago; when we hit 50 years old, we will go play a game of catch with a football. Yo Jeremy, when are u going to review Hereditary!?? Every 5th like gets tagged. Boy do i miss “Awesometacular” rating. This is based on a group of people from Spokane, my second grade teacher’s brother & his friends were the group this is based on. They did a Q&A at a Spokane theater before some of the opening showings, it was pretty freakin neat. Honestly, the whole plot just seems boring. When are you going to review Hereditary? Stand by me was my favorite movie about friendship since I was a kid. Only funny parts were in the trailer. Boring movie. I got my GED in May. On May 4th. 2012. The Fourth was with me. 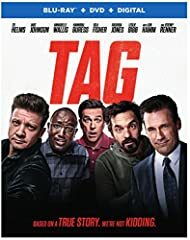 I saw the movie today, I thought it was hilarious. Soooo is hereditary review just not happening or? Characters were too one note. 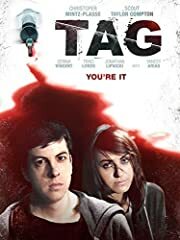 Really bad movie. Loved it anyway. Fun waste of time.